Patty Jenkins' "Wonder Woman" grossed a record $100-million as the best-ever female-directed wide release. 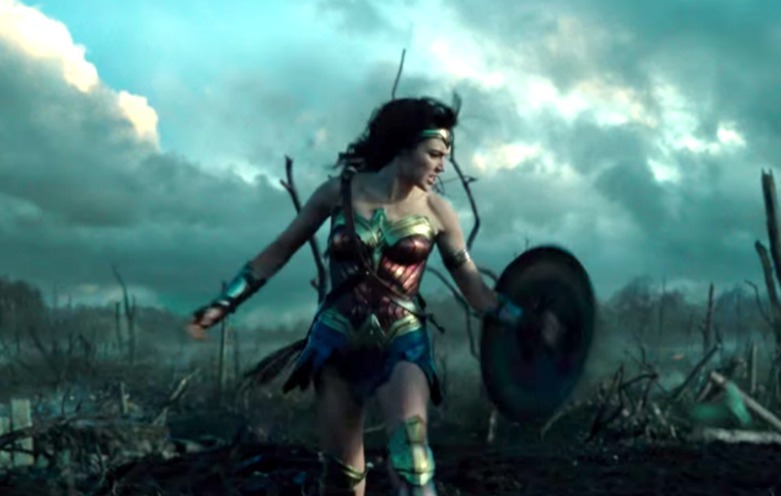 Patty Jenkins’ “Wonder Woman” (Warner Bros.) starring Gal Gadot dominated the weekend box office with a $100-million record performance that drew media hoopla as the best-ever female-directed wide release. But that achievement is not the only news out of the weekend Top Ten box office. D.C Comics’ newest entry soared on multiple levels — see below — but DreamWorks Animation’s “Captain Underpants: The First Epic Movie” (20th Century Fox) also exceeded expectations. But one week alone won’t set the summer box office to rights. Neither of last week’s weak openers, “Pirates of the Caribbean: Dead Men Tell No Tales” (Disney) and “Baywatch” (Paramount), will have box-office legs. And the five holdovers in the bottom half of the Top Ten took in a miserable $11 million altogether. Jenkins’ “Wonder Woman” opened to just over $100 million, a first for a woman director even with adjusted grosses. While 40 films in adjusted numbers have taken in over $100 million, this weekend opening figure is higher than any Kathryn Bigelow title in her long career. “Wonder Woman” outperformed several DC/Marvel superhero origin myths. They include Tim Burton’s 1989 “Batman” reboot ($90 million), “X-Men” ($89 million), “Doctor Strange” ($85 million), and “Captain America: The First Avenger” and “Thor,” both of which opened to $72 million. “Wonder Woman” came in only a few million behind “Guardians of the Galaxy” ($103 million). Looking at the adjusted numbers puts “Wonder Woman” at $20 million below “Iron Man” rather than ahead when it is unadjusted. But “Iron Man” along with “The Avengers” is the gold standard of comic book franchises. Doing more than 80 per cent as good as the first “Iron Man” is a huge achievement for any initial sub-franchise entry. This shows that the male-dominated superhero universe could use a lift from a witty woman director and her global movie star. Only a few live-action franchises with female leads opened better. Franchises “Twilight” and “Hunger Games,” Disney’s “Beauty and the Beast” and “Alice in Wonderland” opened to higher numbers. That’s heady territory. The first “Twilight” directed by Catherine Hardwicke, if you adjust the opening, launched the series with an $86 million weekend. “Wonder Woman” also beats Sam Taylor-Johnson’s pre-sold bestseller adaptation “Fifty Shades of Grey” by about the same margin. Strong word of mouth pushed “Wonder Woman” at the weekend box office. 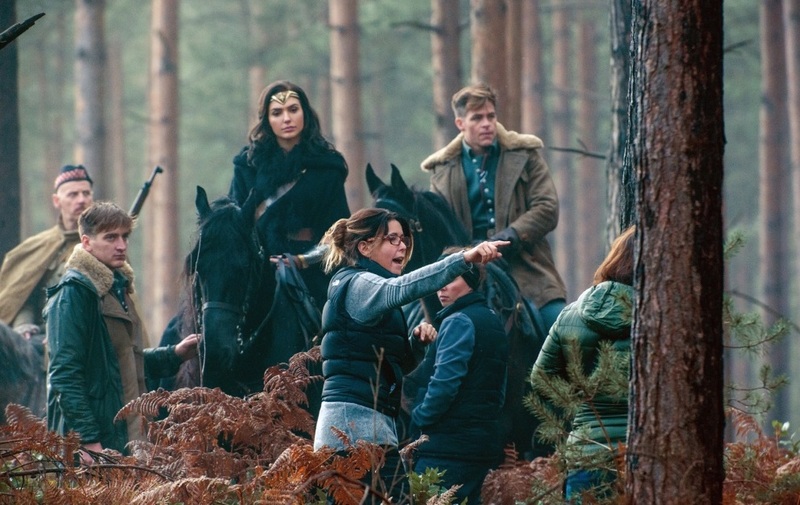 “Wonder Woman”‘s eight per cent Saturday drop is at the low end of second full-day decreases among similar initial entries in recent years (since the advent of Thursday night shows added on to Friday numbers). D.C. Comics’ “Suicide Squad” last August went down 40 per cent on day two. “Deadpool,” a major word-of-mouth success, fell ten per cent. “Wonder Woman”‘s Saturday is only $2.5 million below the first Saturday for “Suicide,” which opened $25-million bigger on its initial Thursday night and Friday. That can be attributed to strong word of mouth, early overcoming of some male fanboy resistance and a higher adult turnout. Warners reports that 47 per cent of the audience was 35 and older. That’s terrific for the genre. But they also give the gender breakdown as 52-48 female. That’s higher for women. But unlike most female-character driven films, it’s close to equal. That’s another breakthrough. The international box office was strong. Foreign, considered to be a question mark, came through fine. So far, with several notable countries yet to open, “Wonder Woman” has passed $122 million overseas. That’s at the same level or ahead of most superhero entries. And this is an even more important development than its domestic result. This means that the film has a much greater potential — including substantial repeat viewings — which could propel it to an unusual three times multiple for a film that opens this high. That would get it to around $300 million domestic total and more than double that worldwide. That’s the number to watch. Jenkins will easily score the biggest unadjusted gross for a female-directed film. But if this reaches $303 million, it will match the (adjusted) record for a live-action movie directed by a woman currently held by Amy Heckerling’s “Look Who’s Talking” back in 1989. Worldwide, the adjusted figure to top is Phyllida Lloyd’s “Mamma Mia!” which took in around $700 million. The weekend’s $175 million Top Ten total marks a 42 per cent increase from last year’s post-Memorial Day weekend. That’s the best for the date since at least 2009. It does come in part from distributors taking advantage of a play date that usually is squeezed between the holiday and the slightly more desirable following week (as school vacations take hold in earnest). The spark comes from both of the openers hitting their target audiences with results strong enough to make them look, unlike most other openers since “Guardians of the Galaxy Vol. 2.” The weakness in box office of late has come not only from some disappointing initial results but also lack of sustained interest. Both “Wonder Woman” and “Captain Underpants” gained from pre-set content brand awareness but also strong reviews (at a time when studios are trying to blame critic aggregate sites for damage to their releases) and most importantly some freshness amid the tired formula familiarity. While its $24-million first weekend is just a fraction of what many animated features from top producers like Disney, Pixar, Universal, Fox and Dreamworks usually see, it’s a credible total. That’s because its $38 million budget is far below the cost of most animated studio titles. Indeed, “Captain Underpants” marks the least expensive DreamWorks computer-animated movie ever. Based on a popular kids book series (its heroes are fourth graders), it doesn’t have the presell or broader appeal of bigger entries. On the other hand, after a strong Friday the next day’s gross only climbed 11 per cent, quite low for a family release. Perhaps contributing to that was a 54 to 46 per cent boy-girl ratio. “Underpants” can stick around for a while — summer vacation will support more than one animated film. But Disney/Pixar’s “Cars 3” in two weeks will quickly dominate this audience. The fifth “Pirates of the Caribbean” installment plummeted 66 per cent, way below franchise standards. It could end up 40 per cent lower than the weakest (2011’s fourth) entry in domestic returns. Foreign is another story, where its $386 million so far is the lion’s share of a half billion return to date. So Disney might be inclined to try again, even though next time domestic returns could struggle to meet this dismal figure. “Baywatch” fell less — 54 per cent — but now will stretch to reach even $60 million domestic. Just another in a string of disappointments for Paramount. Only “Everything, Everything” managed to keep its drop under 50 per cent (last weekend did include an elevated holiday weekend Sunday) with a 44 per cent fall that should give it a chance to stick around a little longer.